Made with comfort in mind, the Bellingham Chair features an over-sized design with ample cushioning. 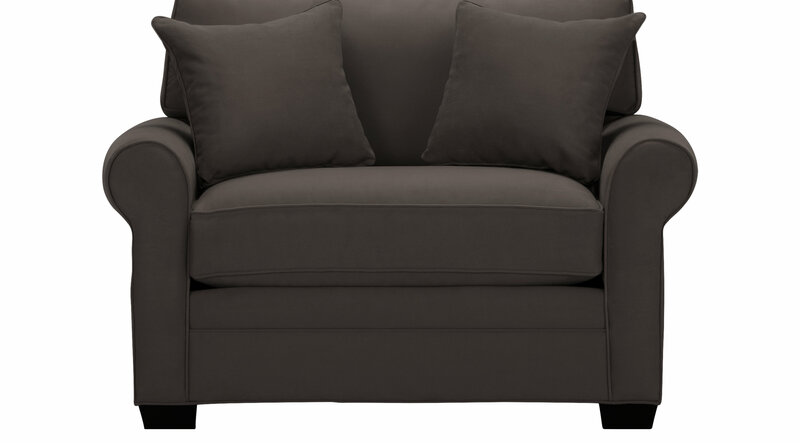 Its boxed seat, back cushions and padded rolled arms are covered in ultra-soft Microfiber plush. Dark wood-block feet support the piece while tying the look together.